Not Neonatology: Baby Birds! Aaaah.. Some of you may recently have seen a partially completed blog post, that accidentally got emailed out to people. It was actually a draft of a post for my son’s blog (I should add that apparently what Axel photographed as a Yellowhead is actually a Yellowhammer) . He and Violette are both intermittently blogging about our trip. Their blogs are at Tentacules.blog.com and at Violettebj.blog.com, Tai also supplies blog posts for Axel’s blog; he has been the most productive with his drawings of his favourite activities each day, accompanied by a text that he writes himself. 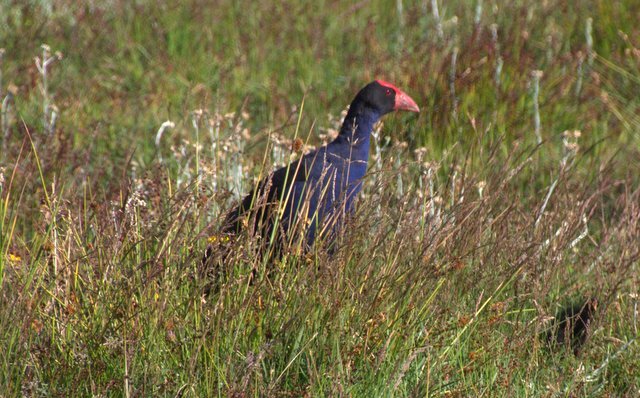 So, for anyone who likes bird pictures, here are a few of my own to satisfy your cravings. 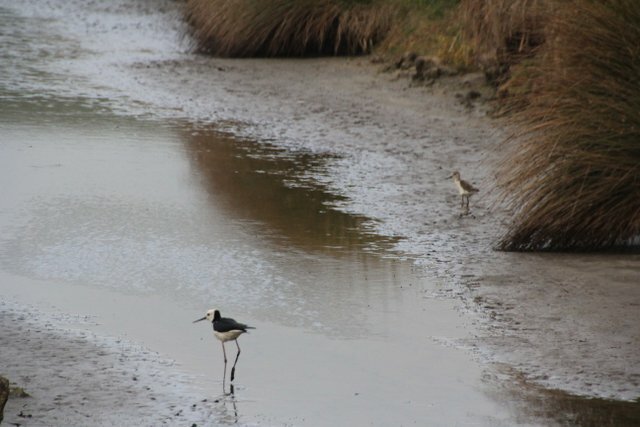 We have been lucky enough to be here when many birds are raising chicks, and have seen quite a few examples, starting with this stilt, whose baby is on the other side of the stream. 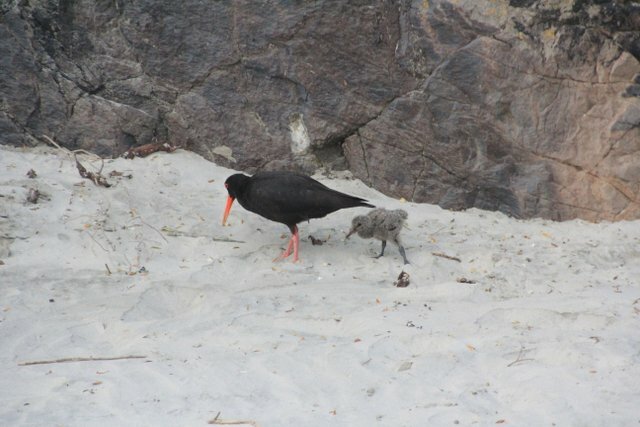 This Variable Oystercatcher got quite noisy and agitated if you got too close to her (him?) and her chick. 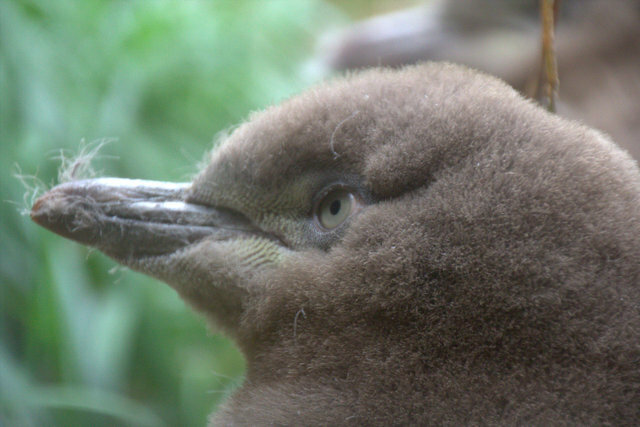 Yellow-Eyed Penguins are critically endangered; this was taken in a protected habitat. 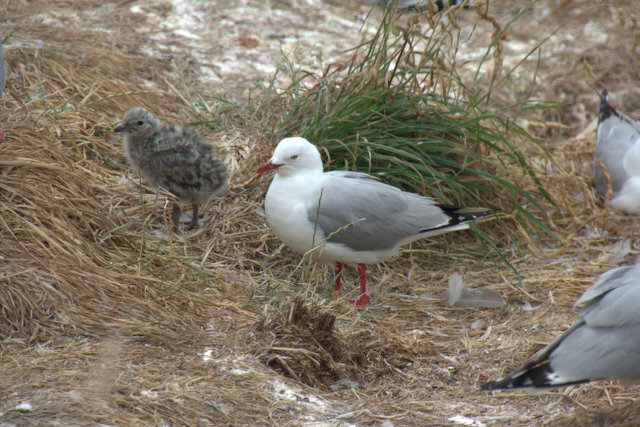 The chicks should soon fledge and set off on their own. 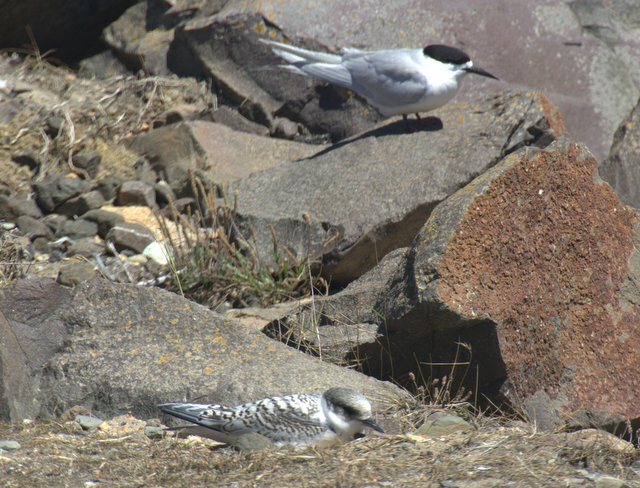 This is a juvenile Caspian Tern, who was being watched by a parent, who was about half a metre away. UPDATE* this is apparently a White-Fronted Tern, not a Caspian, thank you Brian Darlow, for the correction, and also for helping increase my lifetime list by one! 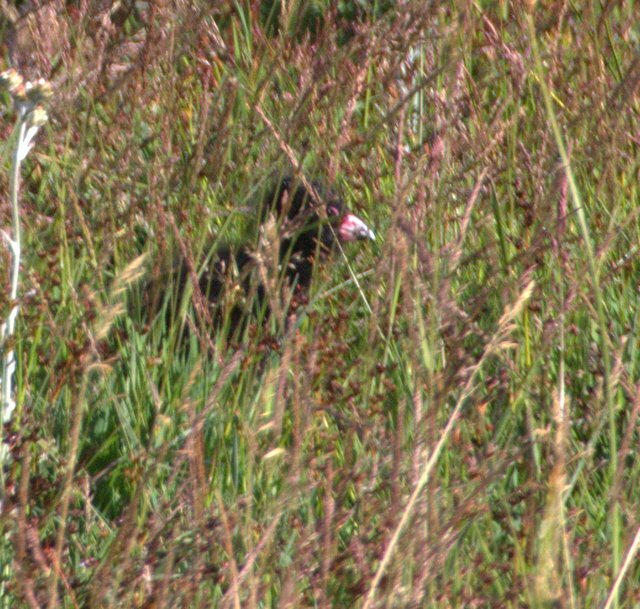 And this pair of pretty Australasian Crested Grebes and chick were seen on lake Alexandrina, the chick has a zebra striped head and is soooo cute. 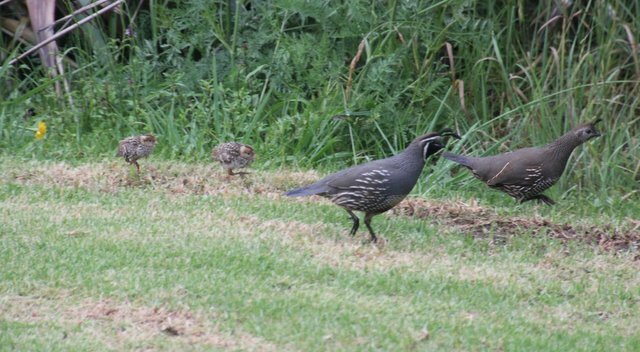 All the birds above are native New Zealand species, I will end with an introduced bird, the California Quail. Many birds have been introduced for reasons that aren’t clear to me, who would bother introducing House Sparrows or Starlings? Quail chicks can’t help their origins though, I suppose, these were being shepherded by their parents. 2 Responses to Not Neonatology: Baby Birds! Aaaah..
Beautiful pictures. Thanks for sharing your adventures with us. Save travels.